"Are you looking for a new career in Kinesiology?" Our diploma was the first diploma registered with the Kinesiology Association in Ireland in 1998. we offer you full international recognition across the globe. All our courses carry an individual recognised certificate. We can offer you many options, whether you want to study to work with family and friends, or become a kinesiology practitioner or a trainer. Our two year diploma in Kinesiology starts with Touch for Health in September and runs until June, then July and August are taken off for a break and we run September to June the following year. The total number of hours in this programme is 854 hours. Payment for the modules can be made by the module as your progress through your diploma. You can Download the dates, a breakdown of all the modules and the cost of each one also an overview of the modules on this diploma on this page. We have four tutors in our college, Ger Casey is the Principal, a practicing kinesiologist since 1992 and a worldwide faculty and trainer since 1995. Ger is currently the International Kinesiology Faculty member for Ireland and Spain and sits on three boards of the International Kinesiology College, based in Australia. She has been the Dean of the Touch for Health School of the college from 2008 - 2011 and has been the Dean of the Personal Development School of the IKC since 2008 and still holds this position. You can check this out at www.ikc-info.org Ger has been teaching Diploma students in Ireland since 1998, and moved from Cork to Kilkenny in 2015. She now teaches all her Irish courses in our College on Friar St., Cashel, Co. Tipperary. Dr. Wayne Topping has been a faculty member of this college since 2000, he is a renowned lecturer and author and highly respected worldwide. Wayne teaches in 23 countries, he is the IKC faculty member for Russia and Hungary, and serves on the board of the Personal Development School of the IKC. He has written over half the modules that are taught on our diploma and these are all recognised internationally. 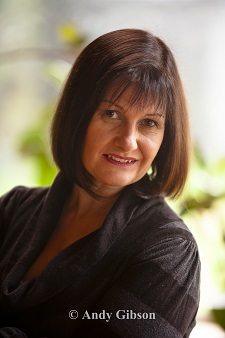 Lynne Gallagher is an Internationally recognised Touch for Health Instructor with the IKC since 2005. She has studied in Ireland and in the US, and has a passion for Touch for Health. Lynne has a background in business and finance and works for a semi state company when not teaching Touch for Health for our college. Deirdre Mullane is a Touch for Health Instructor, a Kinesiologist, a Cranial Sacral Therapist, Reflexologist and an IET Practitioner and Instructor. Deirdre's background was in nursing and she was also a nursing tutor for many years. She has been in management in health care for many years. Deirdre teaches Nutritional Theory and Anatomy & Physiology Modules for our Diploma and consultancy classes. I think you'll agree that we have a great programme and a terrific team of instructors who are highly qualified to international standard, and all of us have lectured internationally. All our courses are held in the College premises at Friar Street, Cashel Co. Tipperary.